Wondering when to visit Oahu? If you've narrowed down your selection of islands and Oahu is your destination, you've made an excellent choice! Oahu has great weather year round; in fact, many people believe it has the best weather of all the islands. Maybe that's why almost half of all visitors to the state of Hawaii pick Oahu. Or maybe it's because Oahu is the most scenic of all the islands, or... well, that list could go on and on. Oahu is a great choice for visitors! Book Your Oahu Vacation Today! It's easy to plan and book your perfect Oahu trip. Enter your trip dates to search Oahu hotels, resorts, and other Oahu accommodations. Oahu is beautiful all year long. Weather is the main concern of many travelers, so it's a relief to know you don't really have to worry about it much on Oahu. Even in the winter months, from mid-November through March, the high-temperature averages somewhere around 80°F (26°C). In the summer months, the high typically average somewhere in the mid- to upper- 80s F (30-32°C). 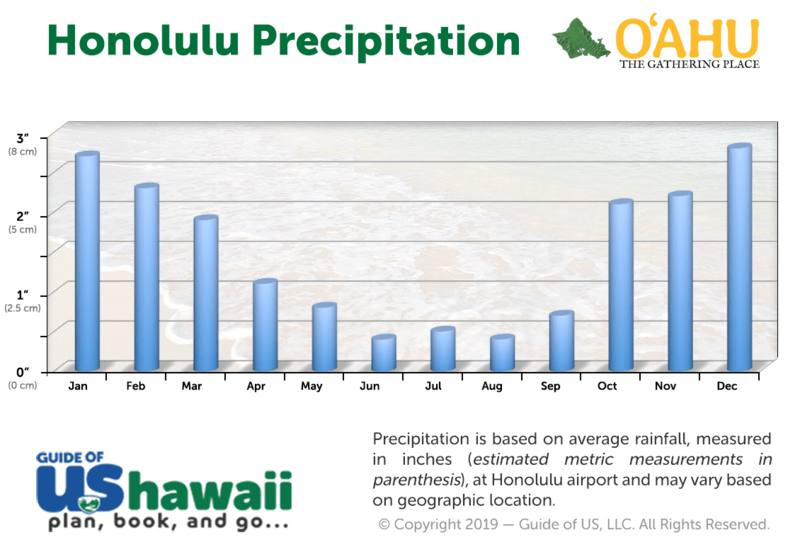 As with all the islands, Oahu does see a bit more rain during the winter months, especially on the leeward (east) side. Typically, showers are scattered and the sun quickly returns after a brief rainstorm. Plus, there's the added benefit that rain keeps the island nice and lush. Not to mention, winter is prime whale watching season. 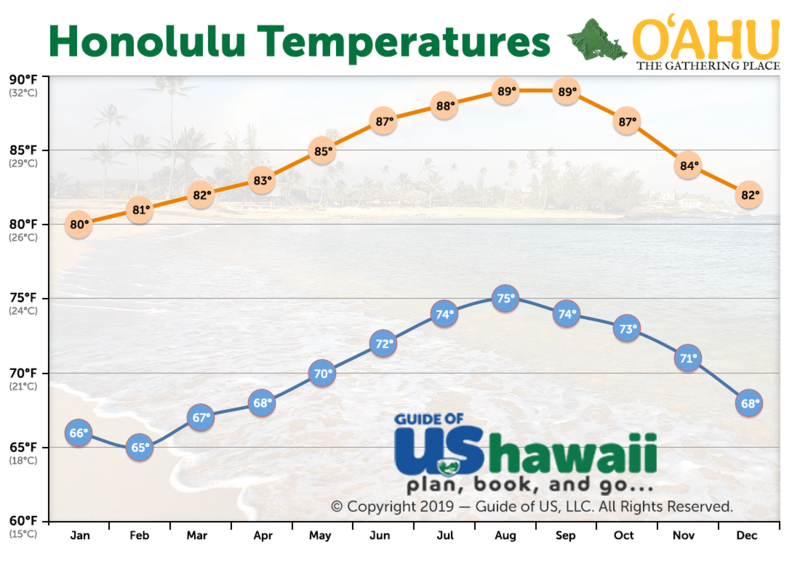 For more detailed information about the weather, check out our Oahu Weather article. Accommodations wise, you'll find better deals during the months of April-May and August-November, when demand for rooms is lower. The holidays are the busiest time on the island, and the increased demand sends prices rocketing. This is especially true during Christmas, when the island feels quite crowded, in our opinion. For more information on accommodations on Oahu, be sure to read our article about Where to Stay on Oahu. So, taking into consideration the crowds, the weather, and accommodation prices, we believe the best time to visit the island is either mid to late May or anytime in September. April is usually a good month, but the last week in April is Golden Week in Japan and that typically means a large swell of Japanese visitors to the island during that period. We should note, however, if you're looking to catch some of the big waves on the North Shore, you'll probably want to visit in the winter months when the surf is up. The best waves usually occur during the months of December through mid-February. If you're lucky, you may also catch a glimpse of the humpback whales that spend their winters in the warm Hawaiian waters.